Maldivian (Male), the national airline of the Maldives, and Air Lease Corporation (Los Angeles) announced the long term lease contract of one Airbus A321-200 (msn 2599). The aircraft will be delivered in the first quarter of 2015 and will join the Airbus A320 (above) already operated by the airline, also on long term lease from ALC. 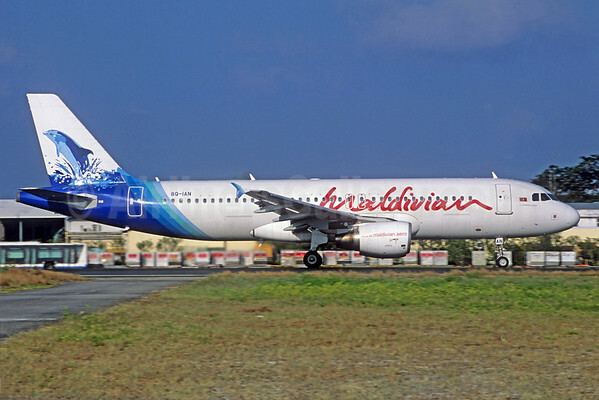 Maldivian will operate the A321 on lease from ALC on its growing network connecting Male, Maldives with cities in South Asia, China and Southeast Asia. 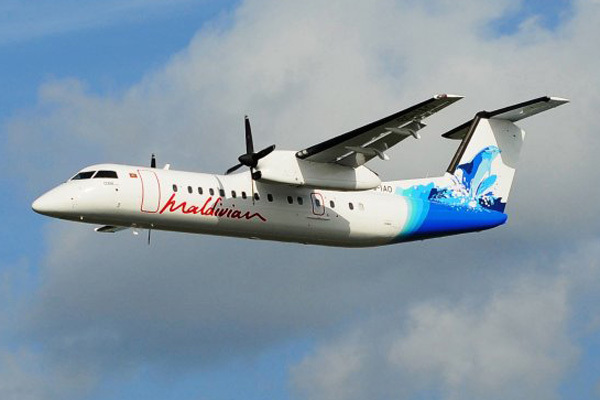 Maldivian is owned and operated by Island Aviation Services Ltd. and is the national airline of the Republic of the Maldives, operating an extensive scheduled domestic and international flight network. The airline currently operates a diverse fleet including two Bombardier DHC-8-200s (Q200s), five DHC-8-300s (Q300s), a single Airbus A320 and three de Havilland Canada DHC-6-300 Twin Otters. In other news, Maldivian’s fourth seaplane, a DHC-6-300 Twin Otter, is schedulled to arrive at Ibrahim Nasir Airport (INIA) tonight (December 9). The national carrier brought its first DHC-6 Twin Otter in April 2014. Top Copyright Photo: Christian Volpati Collection/AirlinersGallery.com. Airbus A320-214 8Q-IAN (msn 2347) was delivered on October 3, 2012. The new type entered revenue service on November 15, 2012 to Chennai and Dhaka. Today Maldivian’s A320 flies to Chennai (India), Dhaka (Bangladesh), Chongqing and Wuhan (China) further expanding our services internationally to cater to the demands of the Chinese market. The Airbus A320 has a capacity of 152 seats. (14 Bussiness & 138 Economy class seats). This entry was posted in Maldivian on December 9, 2014 by Bruce Drum. Maldivian (Island Aviation Services Ltd. dba) (Male) has announced it will launch new direct routes to Mumbai, Chennai and Dhaka in November as part of its regional expansion. The first Airbus A320, with 14 seats in the business class and 138 in the economy class will be flying these new routes. The airline will operate three flights per week to Mumbai, Chennai and Dhaka. Flights to Mumbai will be on Wednesdays/Fridays/Sundays, while flights to Chennai will operate alternatively on Tuesdays/Thursdays/Saturdays. The Maldives, a geological marvel nestled in the middle of the Indian Ocean, are made up of 1,190 coral islands that form an archipelago of 26 major atolls. Each of these atolls is fringed with abundance of exotic live corals and a rainbow of marine life. Copyright Photo: Eurospot. 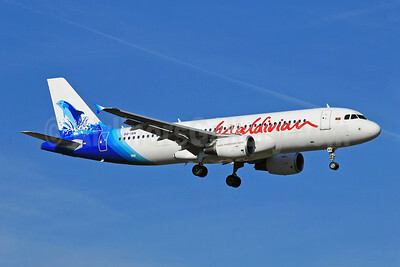 On October 3, 2012 Maldivian added its first Airbus A320, the pictured former Iberia A320-214 EC-KHJ (msn 2347) now operating as 8Q-IAN. This entry was posted in Maldivian and tagged 2347, 8QIAN, A320, A320200, A320214, Airbus, Airbus A320, Airbus A320200, aviation, Island Aviation Services Limited, Maldivian, maldivian island, TLS, Toulouse, transportation, travel on October 3, 2012 by Bruce Drum.